MDF wall clock has quartz movements. Requires one AA battery (not included). 29.2cm diameter(11.5 inch). 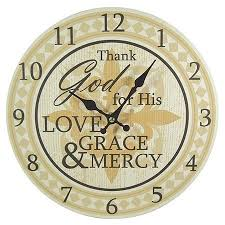 Thank God for His love grace & mercy.